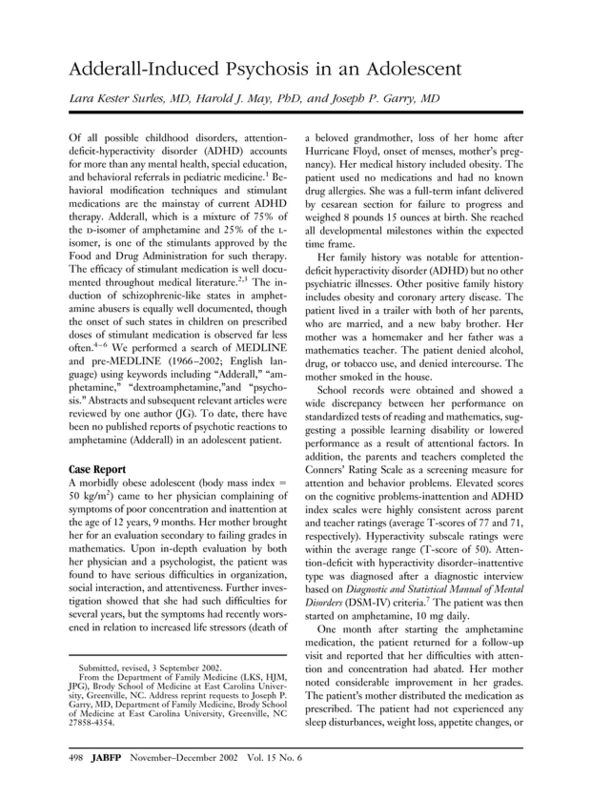 Adderall-induced psychosis in an adolescent. You are going to email the following Adderall-induced psychosis in an adolescent. Asthma exacerbation associated with glucosamine-chondroitin supplement. Vacuum erection device use in elderly men: a possible severe complication. Relation between alcohol consumption and C-reactive protein levels in the adult US population.